24? folding adults trike is designed with comfort and ease in mind and are a perfect way to cycle for all types of riders, whether you suffer from mobility issues and require a disabled adults tricycle are a novice rider or a competent cyclist who just wants the ease of a three wheeled bike and room for their extra shopping. The 24? folding trike is available in three eye catching colours . 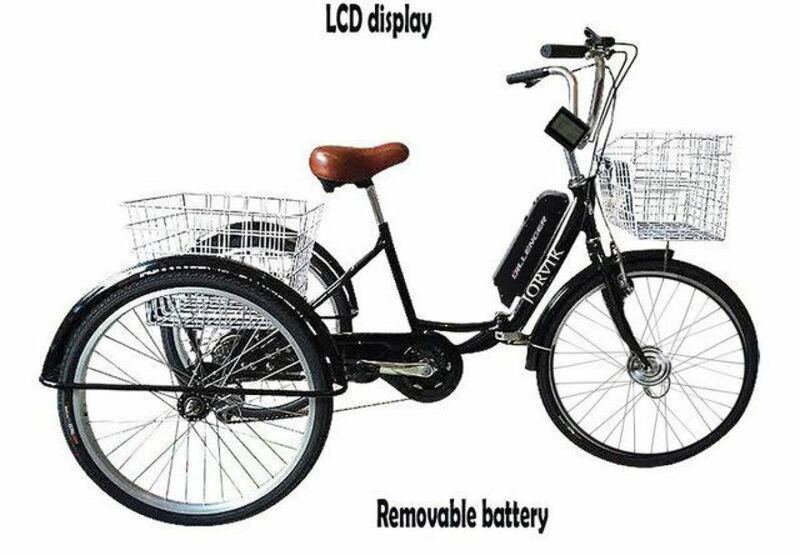 It comes with front and rear baskets, 6 speed shimano gears and a quick release folding frame as standard, With it 24? wheels and adjustable seat and handlebars this adult trike will also be perfectly suited to young teenagers as well as the tallest of adults . making this tricycle the perfect all rounder that will suite every riders needs. 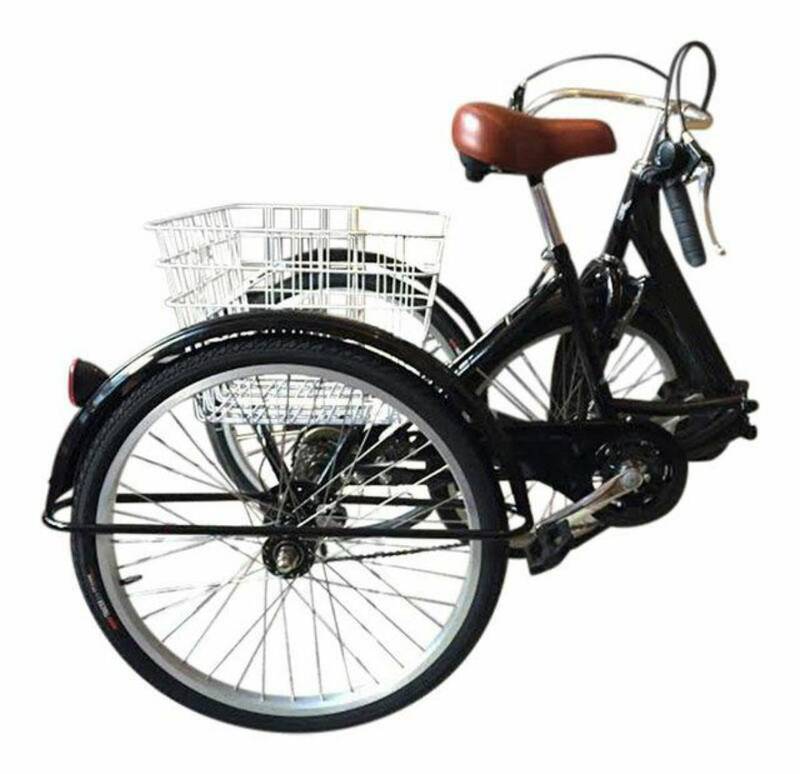 Is a traditional Dutch Style with an upright position allowing the rider to have a comfortable ride and encourages a healthy posture.The low stride frame will make mounting and dismounting a little easier. The folding frame gives the rider the option to transport and store the tricycle with ease.The quick release hinge which is discreetly fitted to the frame allows any rider to quickly fold and unfold with minimum effort. Comes fitted as standard with world renound Shimano SIS Index Tourney 6 speed rear derailliuer/gear. This gives the rider more than enough options to select the right gear to give the best handling no matter what the terrain. The 24? folding comes with parking brakes to the front and rear . Either of the brakes can be applied with the flick of the thumb, giving the rider piece of mind if the tricycle is left unattended. Our sprung comfort saddles come in two optional colours and can be adjusted to your liking. They extremely padded and comfortable keeping any derrière happy! The folding 24i model has mudguards on all its 3 wheels preventing the rider from getting splashed on rainy day rides. Available in silver or colour coated to match the frame – Please note colour preference at the checkout on notes.